Since 2008, the Financial Accounting Standards Board (FASB) has been working alongside the International Accounting Standards Board (IASB) on revisiting the United States Generally Accepted Accounting Principles (US GAAP) accounting model for insurance contracts. While the IASB appears to be moving ahead with fundamental changes to insurance contract accounting under International Financial Reporting Standards (IFRS), several months ago the FASB announced that changes under US GAAP would be more modest. This is particularly the case for most property/casualty contracts, where the FASB is retaining the current financial reporting model, but it is proposing enhancements to financial statement disclosures. In effect, it would appear that the FASB is proposing that companies include claim development triangles such as that in the statutory annual statement, Schedule P, Parts 2, and 3 and 4, or at a minimum Part 3 and (2 minus 4), in the audited financial statements. For companies that only operate in the US, it is possible that consolidated Schedule P information could be included in the audited US GAAP financial statements, as long as it meets the aggregation guidance above. For companies that operate both in the US and internationally, the impact is more complex. Some international companies issue “global triangles,” a supplemental disclosure that typically includes information similar to that included in Schedule P but on a global operations basis. These disclosures are often issued several months after the 10-K filing. As such, these companies may be able to leverage these disclosures, but would have to accelerate their completion to be done in time to be audited and included in the 10-K. International companies that currently do not issue global triangles would be further behind, as procedures would need to be developed to compile the relevant information. 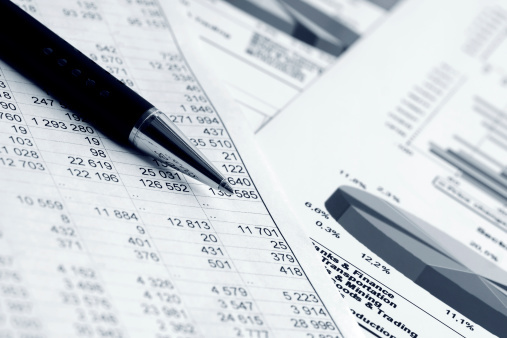 It is understandable that the FASB would like to have loss development tables disclosed. In particular, such development tables are useful for companies that have international operations, which is the reason numerous global insurance companies provide these disclosures today. However, this proposal is accompanied with challenges. Particularly for global entities, the preparation of such development tables is time consuming and challenging. There are often complex foreign exchange issues that need to be worked through, as well as intercompany reinsurance that needs to be considered. Further, the resultant tables need to be evaluated so the accompanying disclosures highlight the necessary information that the user of the tables should know when evaluating the loss history of the company. This may include large loss events, or changes in coverage profile or underlying mix of business. Companies may need to evaluate in depth to determine the most appropriate level of aggregation. These reasons are a large part of why global triangles today are often issued several months after the issuance of the 10-K. In addition, including these development tables in audited financial statements would significantly increase the size of the financial statements and subject the development tables and related disclosures to audit. Subjecting the disclosures to audit would place further pressure on the timing, albeit it is not clear as to the nature or extent that auditors would view the need to test such information. Please note this is still in the proposal stage and is not yet final, and any additional disclosures in this regard would likely not be required for several years. That said, what do you think of the FASB’s proposal? Do you believe the information is worth the effort? Are there solutions that could address the timing concern described above?